Mix together with hands form into small balls. Melt 6 blocks of white or dark almond bark for 3 minutes in the microwave until smooth. 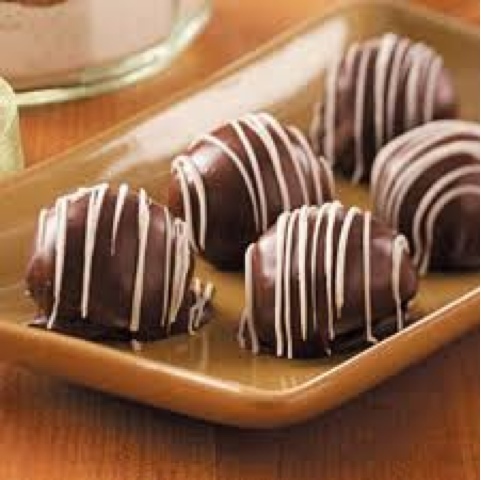 Dip balls into melted bark and set on wax paper till cool. Drizzle with extra almond bark.